Basic concepts relates to the standards and procedures being applied in any field. The success in any task begins with proper basic skills knowledge and the application of that knowledge. In Webster's, Consistency is defined as the constant adhering to the same principles, course. Consistency is basically the act of thinking or doing things in a repeated order, without compromise. Since the beginning of the year, in more than a dozen major case trials, successful results have been obtained in cases dating back as far as 1993, that were processed with a step by step organized approach. One of the stages in that step by step approach is "SCENE DOCUMENATION". Scene documentation consists of notes/reports, sketching and photographs of the crime scene. To be effective the information in each of these tasks has to be consistently marked and labeled with one another. If an item of evidence is marked for identification with a certain letter or number, it has to maintain the same label or marking throughout the processing stage. No case is without areas that show some need for improvement. I hope this article will be useful to you as I describe a concept which has not been given much attention through a basic lecture, publication, or presentation. What is an innovative evidence identification marker? Just about all of the forensic retailers or suppliers offers an assortment of evidence identification markers. Evidence identification markers are items that are used to mark and illustrate items of evidence at a crime scene. These are commercial products like plastic alpha-numeric stands, markers, cones, and flags. The stands and label products come in various sizes, colors and shapes. The items differ from 2-sided to 3-sided standing plastic letters or numbers, to smaller stick on type letters, rulers, arrows, portable lasers, florescent Dowel rods and string. They are used to reveal evidence which may not be seen in photographs. They can be set in place to show the evidence to pathways of suspects, a trail of blood, the pathways of projectiles, and items obscured in the surface covering. By now, you are probably imagining the endless ideas you can have in revealing the relationships of evidence to the scene as well as other items of evidence. The markers can be displayed on an indoor scene, outdoor scene, as well as inside a vehicle or vessel. What is the purpose of an innovative marking system? The evidence marking system is used in the field as a successful tool that will reveal, simplify, organize and identify the numerous items of evidence found at crime scenes. When used properly it will allow others an easy to understand assessment of the scene showing the location, identification and relationships of the evidence presented at a briefing or presentation. 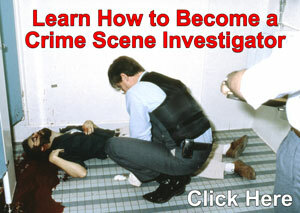 The basics of crime scene documentation have been covered in numerous publications and presentations. The evidence marking system has been established as a useful tool in crime scene investigations for major cases, burial sights, even disasters. After the crime scene investigator or evidence recovery technician has thoroughly photographed the scene from every angle in its original state, then a marking system can be put in place. A series of photographs will then need to be taken from each prospective to thoroughly document the scene with the evidence identification markers in place. Communications with co-workers is very important at this stage. If a co-worker is assigned to assist in an investigation by constructing a crime scene sketch then he/she will need to be briefed to assure that all of the items labeled on the sketch are labeled correctly with the same assigned markings as in the photographs and in your report. The same applies to co-worker(s) assigned to collect items of evidence. As you can see this is a teamwork concept. Each individual has to be informed to keep the information correct and consistent. Why an evidence marking system? Systems need to adapt to meet with the trends that are occurring in the field. In the recent past the weapon of choice for most crimes were the small caliber weapons (.22, .32, .380, .38 caliber handguns) that were readily accessible and easy to conceal. The crime scene investigator or evidence recovery technician would respond to the scene and usually find a limited number of evidence items. With the trends of the new generation of violence the weapons of criminal activities are rapid fire semi-auto weapons and machine pistols that can carry a magazine with a higher capacity of rounds. It is not uncommon to respond to a scene today and find as many as 100 items of evidence. I do not like to Monday morning quarterback any work that is done by another investigator. I was recently asked my opinion on an investigation. I felt it would be a good case to give as an example as to what "not" to do in an evidence identification marking system. My intent is never to embarrass or degrade another's work, only to assist in information sharing and consistency. The scene involved a large area that had more than 100 items of firearms evidence alone. That doesn't include other pertinent items of evidence that was recognized and later recovered. The investigators were equipped with 1 set of fifty plastic numeric 4x8 identification marking stands, 1 set of twenty six plastic alpha 4x8 identification marking stands, and 3 sets of ten-6 inch tall rubber identification marking cones. During the processing stage at the scene when the number sequence ran out, the numbered marking stands were pulled and repeated on several occasions. This can become confusing and may open an opportunity for mistakes to be made. At a "primary scene" I would never feel comfortable repeating the sequence of identification markers that have been placed and assigned to an item of evidence. However, it is acceptable at a "secondary scene" to have the repeated sequence during a supplemental or follow up to the original investigation where the time and the location would become the sequence indicators. The solution to a situation such as this would be to either use a combination of all 3 marking items that are available. Or if the evidence is clustered or grouped in different areas of the scene the investigator could divide and label areas making small sectors or grids. Then the individual items could be identified as belonging to a certain sector or grid. The limitations that an investigator/technician has with marking and documenting the scene are endless. Just take the time to think, be consistent!!! Mike Byrd (1955-2005) joined the Miami-Dade County Police Department in 1983 and started with the Crime Scene Investigations Bureau in 1987. 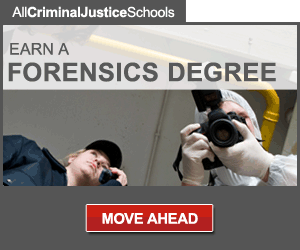 He took an exceptionally active part in the science of forensic crime scene investigations, including development of new techniques, publishing methodology of crime scene procedures, and teaching. Mike developed new techniques for gathering and cataloging crime scene evidence including the lifting of fingerprints, vehicle tire impressions, and footwear impressions. Mike's methods and analysis withstood the scrutiny of the criminal justice process. He published more than thirty crime scene articles on crime scene evidence collection and for the International Association for Identification and was awarded The Good of the Association Award in 2002 for his innovative identification methodology and techniques. He taught crime scene investigation procedures and techniques at police departments around the country and took great pride at instructing smaller Florida police departments in the latest techniques in evidence gathering. Mike performed the tough detailed oriented forensic work at many major crime scenes and disasters over two-decades. He gathered, processed, and identified the DNA evidence used to convict the Tamiami Strangler for a string of heinous murders in 1994. His thoughtful gathering of evidence at the Valujet crash allowed families to reach closure for the deaths of loved ones. Mike Byrd died after a more than two year battle with multiple myeloma cancer. Annually, the Police Officer Assistance Trust awards the Mike Byrd Crime Scene Investigation Scholarship in his honor. DNA, The Next Generation Technology is Here! If It's There, We'll Find It!